The Colorstar type В«CJВ» is a 1-position dyeing system for use both in mill laboratories and research institutes. The vast selection of machine versions and versatile accessories means that the В«CJВ» can be tailored to customer requirements. The dyeing principle works according to the bobbin and beam principle and the exhaust dyeing method, whereby the dye liquor is guided through the stationary material sample, reversing inside вЂ“ outside or outside вЂ“ inside. 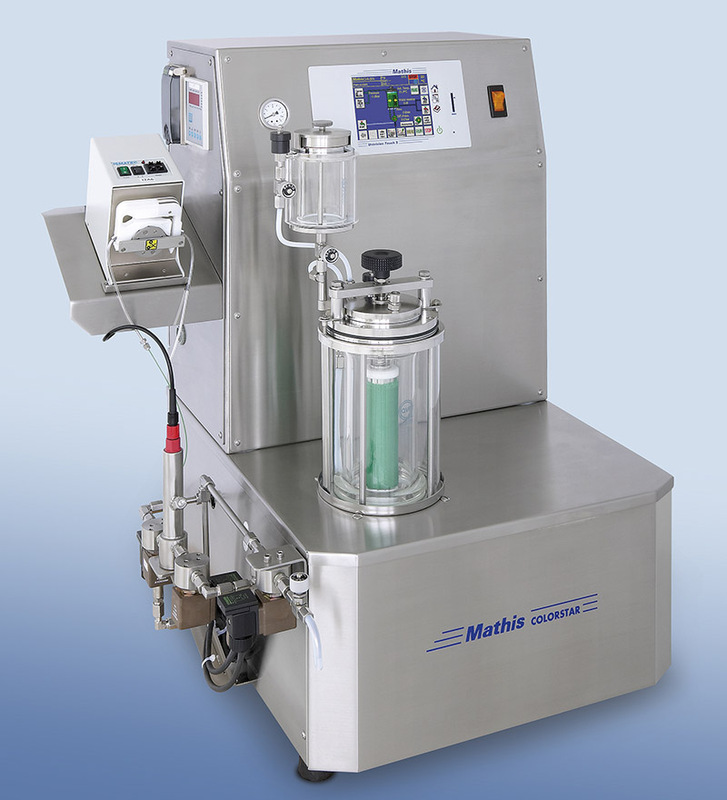 The integrated vacuum pressure pump creates the required atmosphere in the treatment room.